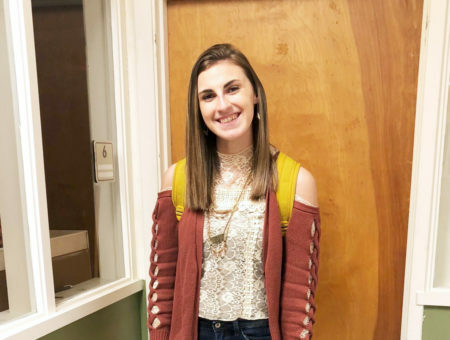 A college student fashionista at Hendrix College discusses her edgy sense of style and how she stays stylish on a budget. Going monochrome with an outfit can be tricky… especially when you opt for a dark color. But with the right pieces and accessories, a dark monochrome outfit can look sophisticated and edgy all at once. 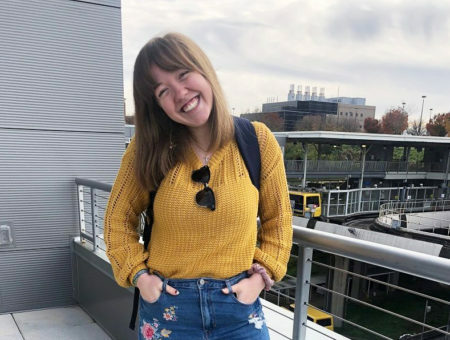 I’ve had several classes with Allison, so I wasn’t surprised when I spotted her looking pretty and polished in a simple skater dress, edgy boots, and tights. 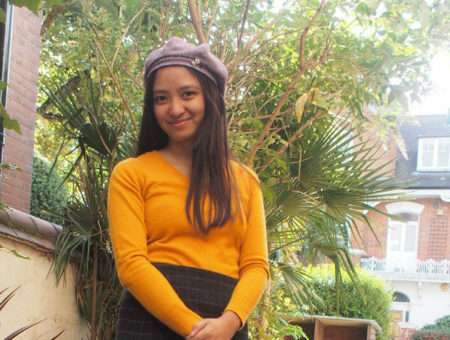 The more we spoke, the more I realized that this girl can talk fashion! I introduce you to Allison, a fashion-forward and super chic future M.D.. Hobbies and Interests: Shopping, furniture restoration, ballet, and antiquing. Allison’s classic jewelry transforms her all-black outfit from muted to polished and fashion-forward. Her pearls are from an antique shop and her silver necklace is from Erica Weiner, a young, jewelry-designing entrepreneur who re-purposes antique jewelry pieces into new items. 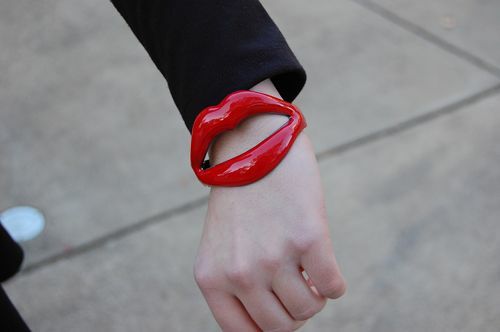 Allison’s lip bracelet, from the Kirna Zabête for Target collaboration, is cute and quirky. A bold piece of jewelry like this provides the perfect pop of color for an otherwise neutral ensemble. 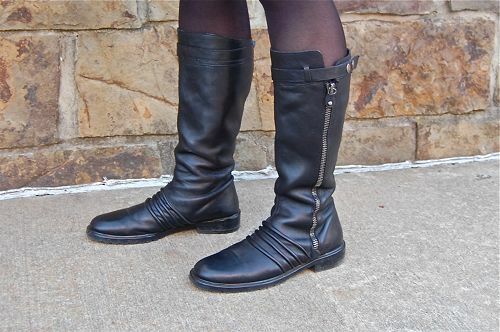 Allison’s Sigerson Morrison boots are perfect for the cooler weather that has (finally) reached Arkansas. Flat, neutral boots and simple black tights are total staples for any winter wardrobe. What do you think of Allison’s look? Have you worn a monochrome outfit before? Do you love Allison’s lip bracelet as much as we do? Have you ever shopped in an antique store for jewelry before? Let us know with a comment!